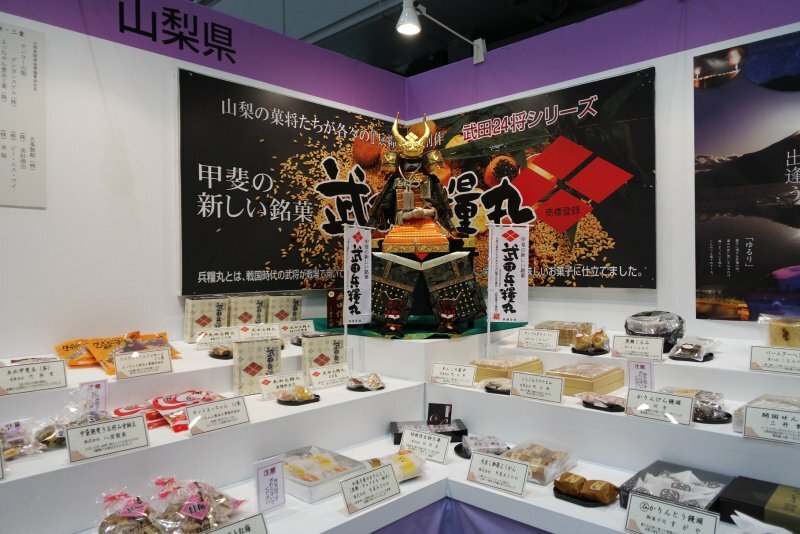 If you are interested in Japanese history, live performances, old-style confectionery or contemporary cuisine, Oisesan Confectionary Expo 2017 being held in Ise City of Mie Prefecture is the one-stop shop to satisfy all your Japan-related cravings. 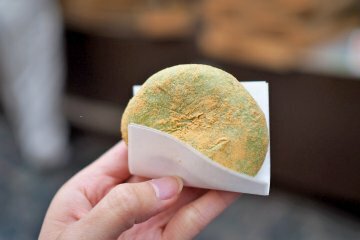 With 11 different areas to stroll through, attendees will find themselves lost in a world of traditional, commercial, and local presentations of Japanese treats for the eyes and mouth. After passing the “Welcome Zone” at the main gate, you’ll come to the first fork in the road. To the left leads towards the “Dream Market of National Confectionery” where you can buy all at once the many specialty sweets from across Japan. 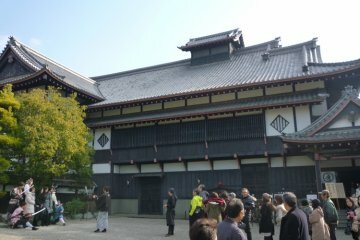 It’s the best place to purchase omiyage (souvenirs) for your friends and co-workers back at home. To the right is “Mie’s Specialty Food Zone,” where you can eat your fill of handmade gourmet foods. 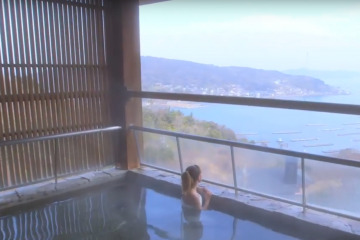 Featured in this area are a professional tea ceremony space and special limited samples of original recipes invented by local high school students. Behind the food area is a “Culture Village Kids Park,” open only on the weekends. At the end of the food area is the second fork in the road, separating more lively food stalls on the left from the “Dream Confectionery Market Zone” on the right. 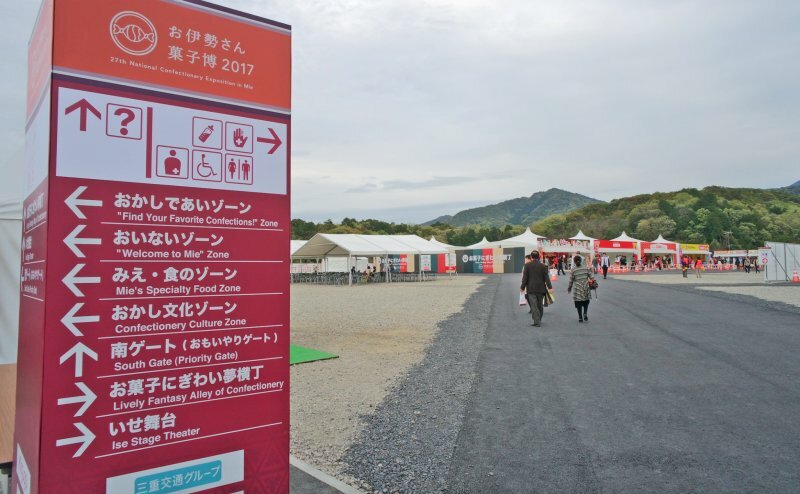 This area hosts unique shopping booths, an exhibition of paintings by local elementary school students, prime photo spots, and the Ise Stage Theater. 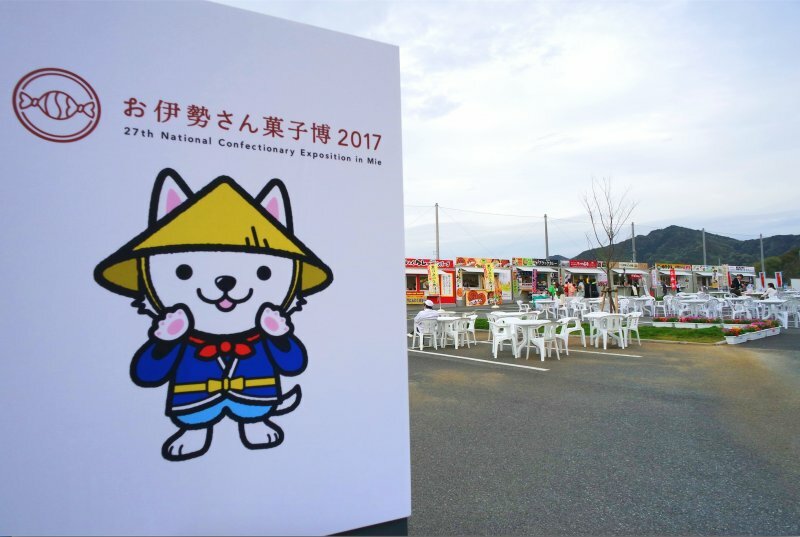 April 23rd–May 9th will be full of guest performers, from balloon shows to kabuki performances, to Mie-born TV and music celebrities like Yumemi Nemu and Rie Nakanishi. 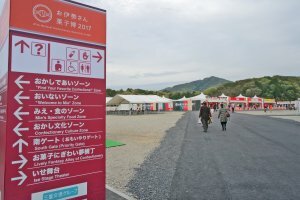 To plan your visit around the performers you want to see, check the performance calendar (Japanese) on the official website here. 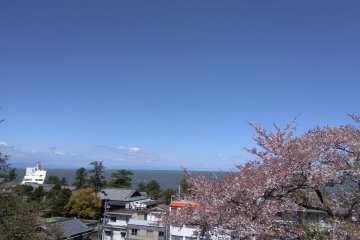 Although only available in Japanese, the website information is useful. You can track how many people are currently at the Expo, as well as reported traffic along the highways. 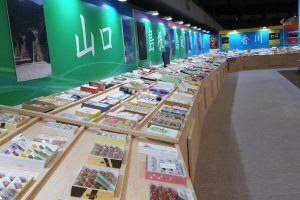 On the “For Visitors” tab you can find printable PDF files with ticket pricing and access information in English, Chinese and Korean. Getting to the Sun Arena venue is a bit of a trek if you’re not driving, so make sure to plan for sporadic local train times, walking distance, and shuttle bus rides. If you’re traveling via JR Futamino-ura Station, be prepared to pay the conductor with cash before you get off. The bus stop is conveniently located at the Tourist Information Center, a 2 minute walk from the station. They don’t speak English, but are extremely hospitable and will go out of their way to make sure you board the correct bus. You’ll know you’ve finally made it when you see the cute festival mascot on large pink pillars welcoming you to join him inside. 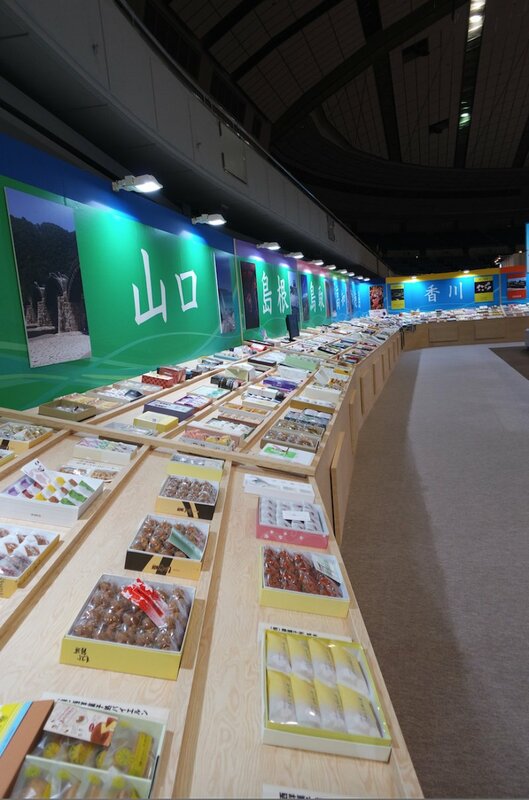 Oisesan Confectionary Expo is arranged to showcase all the prefectures of Japan in minutes, but plan on spending an entire day as thousands of kinds of unique confectionery items are showcased, and many of the proud artists are willing to explain themselves in practiced English and pose for photos with you. The gates open at 10 am every day, and the event shuts down at 6 pm. Keep in mind that many pavilions will start packing up around 5:30 pm. 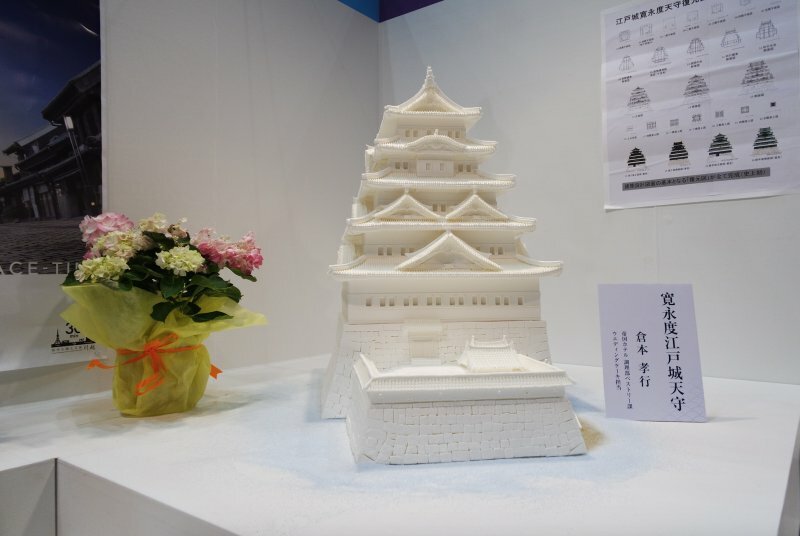 After you’ve shopped til you dropped and have satisfied your refined sugar fix, it’s time to walk it all off at the Expo Main Arena where you can feast your eyes on the 3D Confectionery Crafts on display. 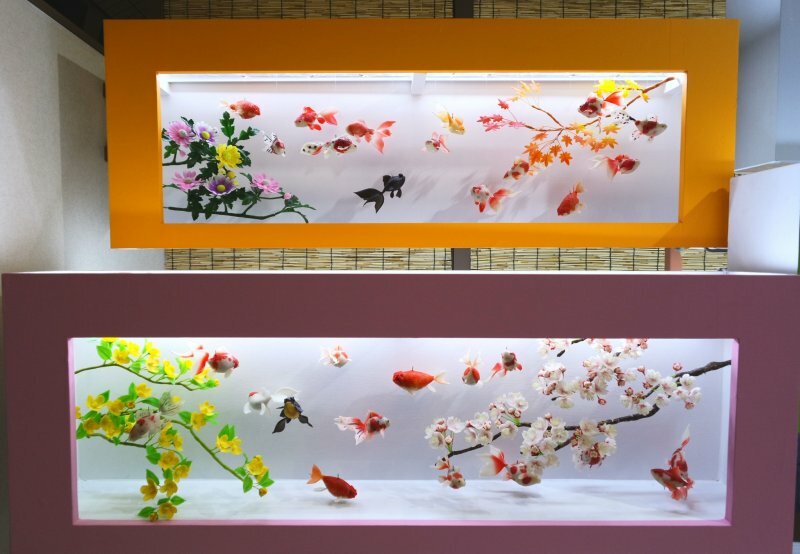 These meticulously designed artworks are all created by confectioners from around Japan who are competing for the event’s Excellence Awards. Each design portrays realistic themes of nature, humans, and architecture using Japanese or western-style methods. 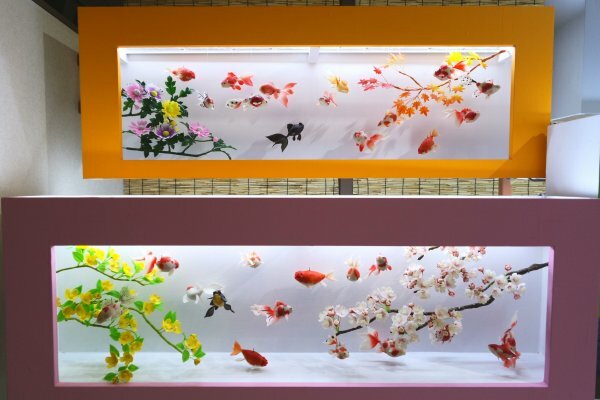 Some displays look so real, you won’t believe they are edible! This event is an information goldmine, allowing visitors to learn about Japanese history and culture in the most unique way. By sampling the sweetness of all the prefectures in one go and delighting in the displays of innovative craftsmanship you are certain to satisfy your sweet tooth craving not only with your mouth, but also with your eyes. Download the Japan2Go! App to make traveling Japan more fun! 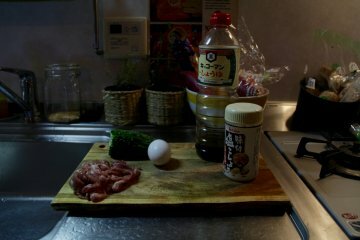 Stage Manager, Traveler, Eater, Japan-explorer, Globetrotter, Anthropologist. When I travel, I only use one regular-sized backpack. 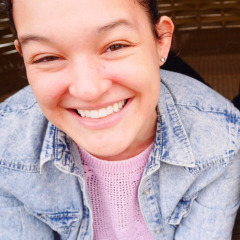 I want to experience each country, city, culture by being open-minded and following different people's way of life. Through theater, I can share my experiences with a wide range of audiences, and stimulate conversation in a tangible format. I wanted to attend this event! 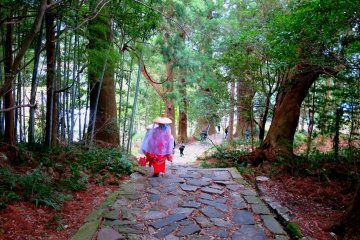 Not enough time to do all the exciting stuff in Japan... Would you attend another year? Sorry you didn't get to go! I would attend again if I was in the area. 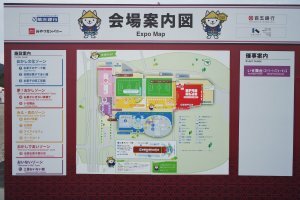 No news about the 28th expo yet, though! I'm always amazed how the Japanese prepare their confectionery, candies, and sweets. 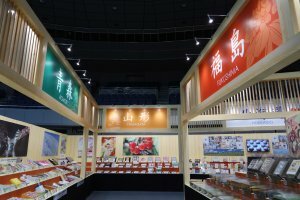 I've tasted their chocolates and some of their rice cakes but I know there are a lot more exciting varieties of goodies to discover. Thank your for sharing this important event with your readers. Cheers! What I find most satisfying about Japanese sweets is that the sugar doesn't overpower the flavor, as most American sweets tend to do! 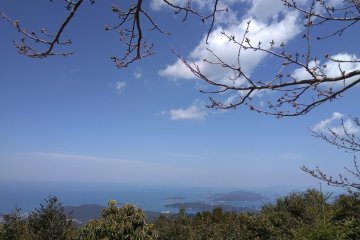 I'd like to be there!!! Please come any time and try all the goodies!